Botanically speaking, I suppose most horticulturists don’t do much with tulips in their home gardens. Despite a history rife in treacherous explorations which brought a plant from the dry eastern Mediterranean to low-country Holland, most horticulturists are on to other things. They dismiss the anthropologically fascinating story of markets, economies, and logistics. Many are likely ignorant of the sordid tales of obsession that prompted good, stout, Calvinist Dutch to try one or more of seven deadly sins. They’d probably take a leering interest in this if they knew, but they don’t. The transformative alchemy of selection and breeding from the earliest days of the Renaissance to modern times? Not the coolest subject in these times of native plants, naturalistic gardens, permaculture, and environmentally conscious gardening. So, okay. 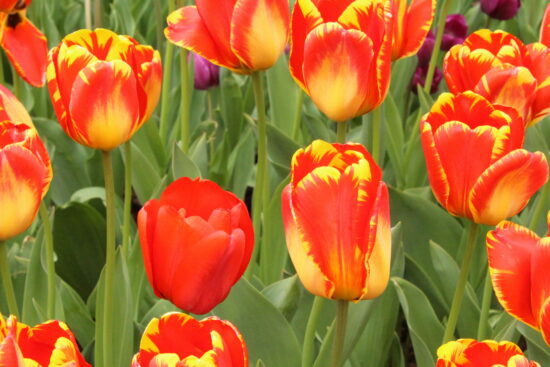 Maybe, just maybe, tulips are not, in fact, the most important thing going on in the Horticultural world at the moment. But, Lord help me, they just might remain the most beautiful. 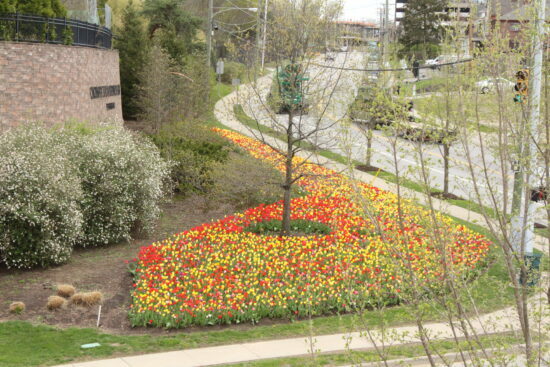 The largest tulip bed at the Cincinnati Zoo & Botanical Garden. Design by Zoo Horticulturist Tosh Dobias. Planted by Zoo Hort staff and many wonderful volunteers. No other flower that I know of can conjure such saturated colors from soil, sun, and rain. 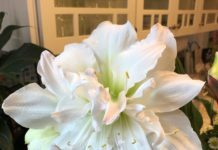 No other flower glows with, seemingly, its own light. One alone, magnificent. In droves, beauty beyond measure. Enough beauty to melt the coldest heart of the most skeptical, disgruntled, and ideologically pure horticulturist among us. 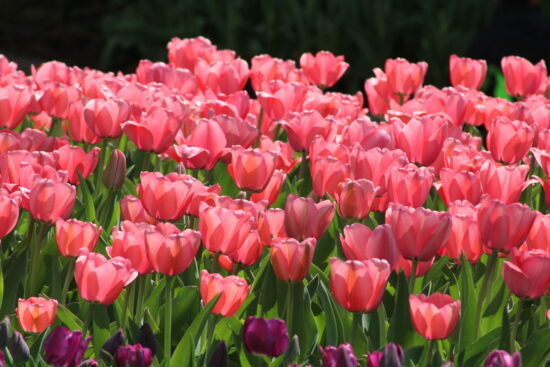 To the innocent masses, tulips are simply a glorious, breathtaking, and joyous gift to enjoy without restraint. Crowd pleasers. Let’s face it, we need them. When we’re an expert and an ambassador, they are a tool. When we’re dumb consumers, a joy. They are, almost always, the impetus that stears ordinary people toward great passions. Without Meet the Beatles, we would never have gotten to Sargent Peppers. Without Sargent Peppers, how many other bands would have never begun? Or pushed the boundaries? How much other great music would we not have? A Kodak moment and a memory of a spring day and gardens to treasure. Tulips for truck drivers. Why not? 50 mph color to brighten anyone’s day. If we’re smart, we leverage crowd pleasers. 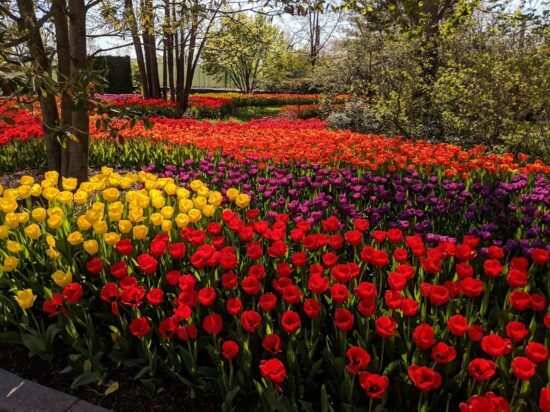 I work at the Cincinnati Zoo & Botanical Garden and right now our tulip display, which is about 110,000 bulbs strong, is at its peak. Our visitorship is rocking. 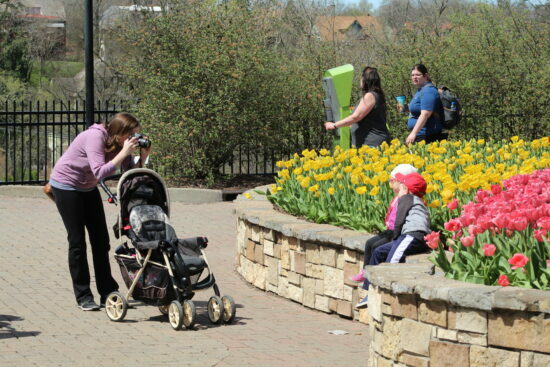 Each day, a thousand kids are parked in front of gardens and digitally captured for the ages. Who knows how many of them will take in these displays like a seed? In which of them will that seed grow into a lifetime of enjoying plants, making gardens, and beautifying our communities? 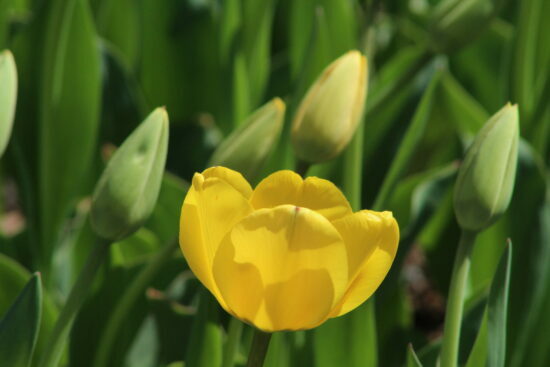 Last Saturday the Garden Clubs of Ohio held an event based around the tulips. They had tours, they had lunch, and then heard a talk on the best plants for their gardens based on our plant trialing, and how these plants in more yards and gardens can benefit pollinators, human well-being, and more. 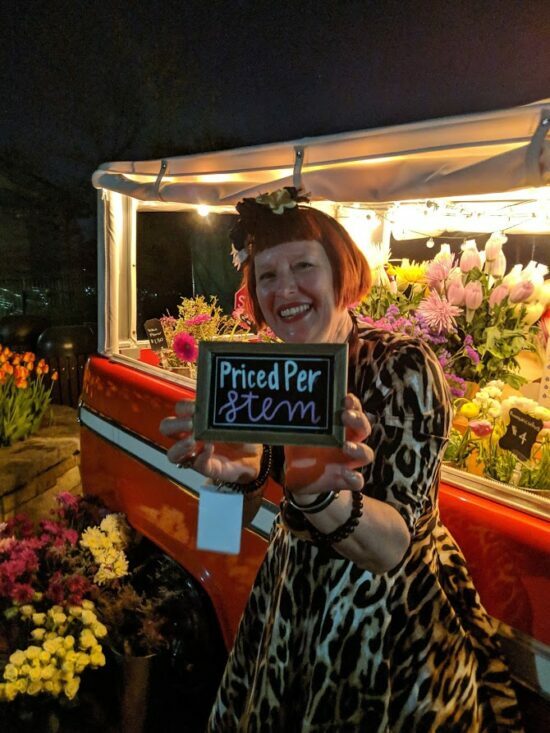 Last night we held an evening fundraiser called Twilight in Tulips. The weather was perfect. 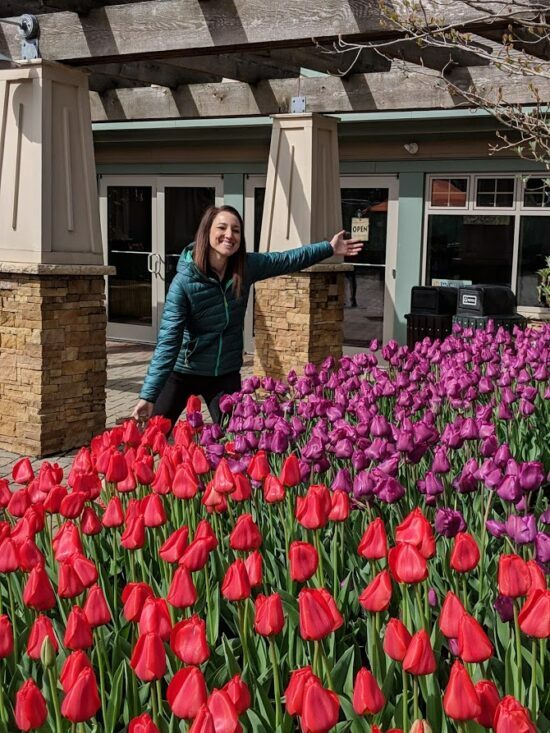 The tulips never looked better and people enjoyed a great social event. 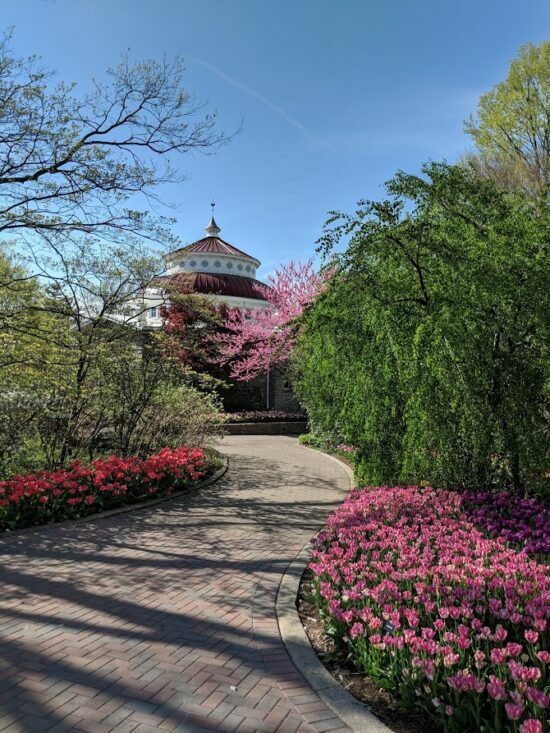 They received tours of the gardens that introduced many of them to the plant trialing, native plant conservation, pollinator programs, and more that the Botanical Garden side of the Zoo does. Our guests then had a fine dinner, drinks, and then heard an inspiring and informative talk by acclaimed ethnobotanist, Mark Plotkin. Money that will support further work was raised. But just as importantly people met other people. They heard a message of amazing science, heroic conservations efforts, and hope. Who knows how many ideas were hatched? What was it that brought them all together in the first place? 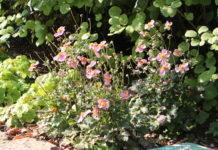 A mass planting of an age old plant of enormous popular appeal. Sheer, unapologetic beauty will always get attention, as it should. Life without it is so greatly diminished. Not experiencing such beauty is a shame. Not leveraging it for a better world for the greater good would be a terrible, missed opportunity. 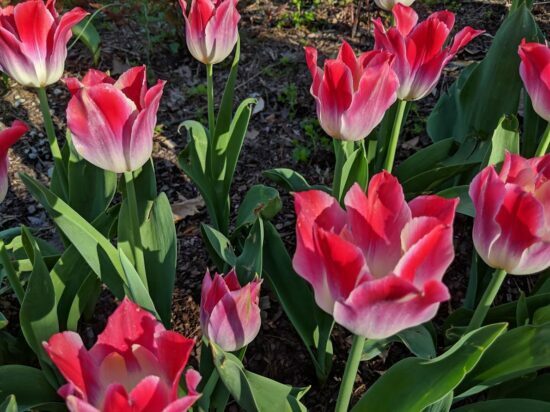 I plant hundreds of tulips every year and am deeply interested in every type, and, to a lesser extent, the plant’s history. Guess I must not be a horticulturalist. 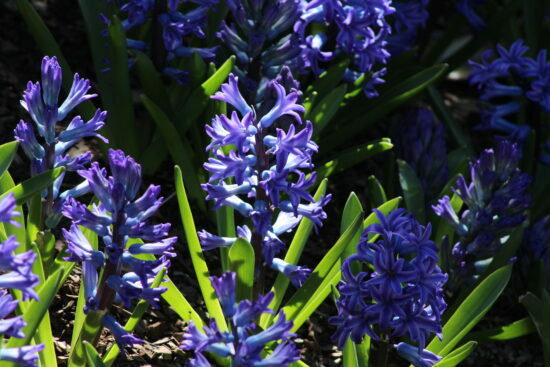 Seriously, however, most do not plant them because they are deer (and maybe other creatures) fodder and it’s kind of heartbreaking to plant the bulbs and see them eaten before the buds can even show color (from what I’m told by my suburban-living friends). Elizabeth has hit the nail on the head. I haven’t planted tulips in years because the deer demolish them long before than are any buds to show color. At least they leave the daffodils alone. I plant around 1500 tulips each year and I also have a deer problem. 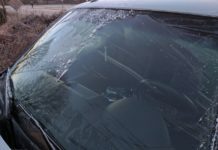 I get around this by covering them with plastic netting. The netting is attached to 2 x 2’s and raised about a foot in the air by stakes. This has been doing the job for about 10 years now. Once in a while I loose a few because I don’t get them covered soon enough. They seem to love them when they are about 4 or 5 inches tall. It’s not too much work but we get a lot of nice comments because they are in the front yard by the road.